What’s the best location for a satellite dish? You’ve decided to put up your own dish. Good for you! 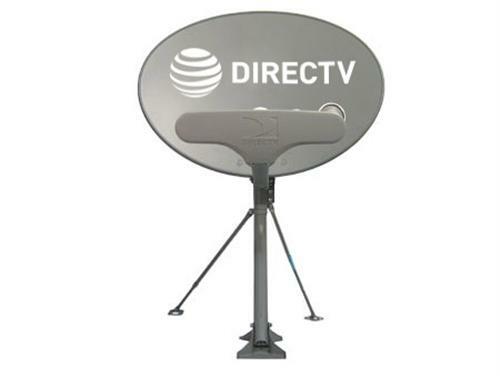 Remember that for the first several years, DIRECTV and DISH didn’t even have professional installation. You’re following in the footsteps of thousands of early adopters who took the time to really understand satellite TV technology before jumping in. Maybe you’re experienced with satellite TV and maybe you’re just getting your feet wet. Either way, you’re going to need a resource to help you decide where to put that dish. Even if you’re only setting up for a temporary installation like a tailgate party or part-time cabin, you’ll need the information and resources to get that dish placed in the right location. Height is good. Height is very good. The higher up you can mount the dish, the better. A dish placed high up will get a clear, unimpeded view of the sky. Even if you’re not a fan of ladders, you’ll want to take the time to put that dish up past the point where obstructions are going to be a problem. A satellite dish can be mounted directly on the roof, but most people choose not to do that because at that point you’re drilling into the roof and sooner or later water is going to get in no matter what you do. Most people choose a point on an eave or fascia board that works, or drill straight into the side of the house. Solid Signal has a TON of mounting supplies for every possible need, so if you need something that sticks out a little further, or doesn’t make permanent holes, or just helps you get the dish up a little higher, we can help you out. Personally I like to use dishpointer.com (or the Dishpointer app available in your phone’s app store) to plan my aiming. First, put in your address and start by choosing the dish you’re planning on using (For example, DIRECTV 5-LNB). This will give you a general aiming direction but it will also tell you what satellite locations you’ll need to see (in this example, 99,101,103,110,119). The map gives you real overhead photography with lines that show where the satellite is in relation to your location. Looking at each satellite individually will help you understand if there’s going to be a problem. If you see that green line cross a tree, sooner or later there’s going to be a problem. It’s that simple, really. You want to start with a level surface, at least one that’s as close to level as you can get. You can always adjust the tripod so that the mast is perfectly level, which it must be. Try to pick a location where there is plenty of room for people to walk around, because even the slightest bump can drive the dish off alignment. This will also give you enough room to cover the legs of the tripod with sandbags, which is what I do because it makes the whole thing stand up against the wind better. Don’t set the dish on the ground; this invites critters to crawl into it and you know that’s not good. Also, don’t ever mount a dish to a tree. If it’s a temporary installation you’re hurting the tree, and for a permanent installation you’ll be re-aiming every few months, because you know, trees grow. It’s ok to put your dish near an antenna, but unless the mast for your antenna is really sturdy, it’s not an idea to try to zip-tie the mast for the satellite dish to it. It’s just not designed to work that way. And whatever you do, don’t just stick the dish on a fencepost or on a loose post driven into the ground. You can absolutely put a post straight into the ground, but if you do make sure you use plenty of cement and make sure it’s completely level and that it sets completely before you actually put the dish onto it.